The Janesville Gazette, the hometown newspaper of Wisconsin Democratic Senate candidate Russ Feingold, threw its endorsement behind incumbent Republican Sen. Ron Johnson on Friday, praising him for his "outsider" mentality in Washington, D.C.
"Perhaps because Sen. Ron Johnson began his career in manufacturing instead of law school, he doesn't come across as an incumbent having spent the last six years in Washington," the paper wrote in its endorsement. "Johnson still exhibits an outsider mentality and is willing to point out uncomfortable truths to his colleagues." The paper praised Johnson for his fiscal restraint and says that little is being accomplished in D.C. because too few share Johnson's mindset. "One of those truths is the nearly $100 trillion in unfunded liabilities looming over entitlement programs," the Gazette wrote. "Johnson has been ringing alarm bells about the threat posed by a pending tsunami of Baby Boomer retirements. But nothing is getting done because many of Johnson's colleagues share President Obama's cavalier attitude toward fiscal restraint." 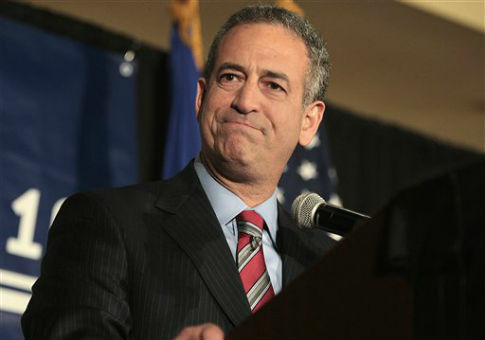 The paper later warned that a Feingold victory could bring about a Democratic-controlled Senate that could lead to a "potential disaster" if Hillary Clinton wins the presidency. "The next president could ask the Senate to confirm the nominations of as many as three Supreme Court justices, and diligent vetting will be necessary to prevent the court from becoming stacked with liberal activists," the endorsement read. "Polls show the Johnson-Feingold race is close, and whoever wins could determine the balance of the Senate," it continued. "A Feingold victory could bring about a Democratic-controlled Senate, a potential disaster when mixed with a Clinton presidency." "Only a Johnson victory would give us hope," the paper concluded. This entry was posted in Politics and tagged 2016 Election, Endorsement, Ron Johnson, Russ Feingold, Senate, Wisconsin. Bookmark the permalink.